As I faced the heaviest workload of my life, I fretted. To-do lists multiplied, and details started to feel overwhelming. Each day, I worked from sunup to sundown, and lay awake at night thinking about what the next 24 hours held. I was exhausted, discouraged and wondering if all my work meant anything. Then two things happened that changed my perspective. The Lord also brought to mind a conversation that I had with my friend Suzie, where she shared a new concept. Suzie had prayed God would convert her work to worship. What a beautiful idea! Each morning she spent time with God, reading her Bible and praying, and then she moved into her work, letting God’s presence flow seamlessly into each task. As I reflected on the bad attitude I was starting to develop, I realized I had failed on both counts. I was overworking, and I was compartmentalizing my work as if it weren’t related to any other part of my life. Those two missteps were making me miserable by skewing my perspective about the labor of my hands. Instead of following my prayer “Lord, help me to do all that You call me to do in this season and not one thing more” by listening for direction, I just dove right into my tasks — where I ended up frustrated, feeling like I was on a never-ending treadmill. Exhaustion is a sure indicator we need to consult God about our schedule. We need to ask Him questions such as: What do You want me to do? What do You want me to stop? What boundaries should I set on my work? God is amazingly faithful, and I’ve experienced His provision over and over with my time. When I listen for His directions for work and rest, it all gets done within a timeframe that astounds me. Working within His plan reminds me that His good gifts include both joy in our work and fulfillment of the other needs of our souls — love, friendship, community and rest. Although we might never work for a person with a prestigious title, and regardless of whether our tasks are inside or outside the home, we still work for the King of Kings. An element of skill in our work is knowing who our true Boss is — and working for His pleasure. It’s seeking His direction so we’re working smarter, not harder. It’s following Him to find joy in what we’re accomplishing. Our triune God has created us as fully integrated beings with a body, soul and spirit. God designed work as good — even in the Garden of Eden. Worship flows into the way we treat our bodies, which includes how we feed our minds and the plans we have for our work. Seeing our spiritual life connected to our workload helps us do everything as if we’re doing it for God, because whether we recognize it or not, we really are! Turning our work into worship gives it worth. In truth, because God created us as spiritual beings, we’ll automatically worship while we work. The question is, Who are we worshipping? Are we worshipping ourselves by setting our own agendas and goals, or are we worshipping God by following His? The results are completely different. Let’s worship God with our work so we can find joy and fulfillment again! Amy Carroll received great advice in a time of exhaustion. Her friend Suzie Eller’s latest, Come with Me Devotional, is a great way to start your day with Jesus, setting you up for powerful worship in your work. How do I live in God's love when I don't feel loved?  Our next Online Bible Study is I Am Loved by Proverbs 31 author Wendy Blight. Wendy wrote this in-depth study of the book of 1 John for every woman who craves to truly understand, walk confidently in and live out God’s unconditional, extravagant, lavish love … because His love truly changes everything! All of our studies are free to join — click here for more information. Visit Amy’s blog today for more ways to amp up the joy in your work life. Invite Jesus to come to work with you today. At the end of the day, record how awareness of His presence changed your day.